LG Full array dimming technology controls backlight units individually. It ensures clear, crisp images with superb contrast. It delivers exceptional gaming performance by supporting 4K HDR games and Dolby Atmos. Synchronizes your senses with real-time scenes happening in a fast-paced game. Highly detailed image and true colour expression in 4K HDR games. Ensures clear and crisp images with superb contrast. 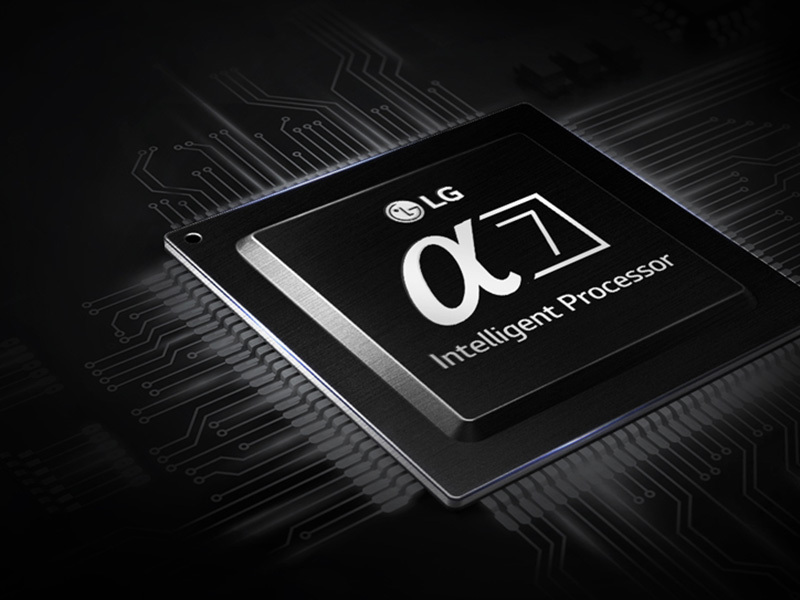 LG α7(Alpha7) Intelligent Processor, allows rich colors and deep details as hidden beauty comes alive. High Dynamic Range provides more detail and lifelike color with more contrast. Supported formats including Dolby Vision HDR. 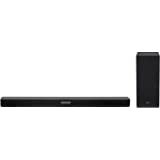 Dolby Atmos creates powerful, moving audio seems to flow all around you, even the space overhead, capturing every object. Ok, one word that can define this is "Beautiful" Let me elloborate. 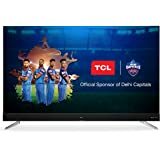 If you are in the market for probably the best 4K IPS TV that supports all the latest and greatest from Dolby which includes (Dolby Vision, HDR 10, HLG) at the same time provides great sound quality (Dolby ATMOS, True HD 7.1, DTS HD, Dolby Digital), slimmest design possible, Smoothest of the smooth OS (Web OS 4.0), AI enabled Magic remote,just think no where and put all your money in this stunning masterpiece. 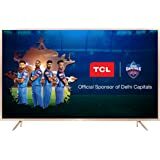 1) let's start from basics, if you are upgrading from 32" inch LCD/LED, you will be blown away with the stunning picture clarity this TV offers. Everything looks stunning, Dynamic Contrast, Pitch black colors (will talk in detail). The TV has the ability to catch smallest of the small detail in the picture and can create stunning visuals that is so pleasing to eyes. 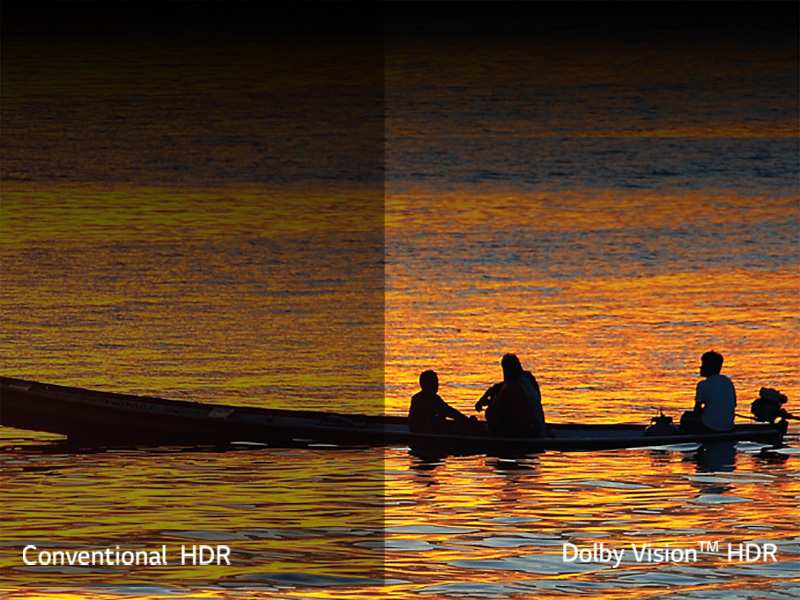 Play any 4K HDR content (includes Dolby Vision) and you will be blown away by its superior picture quality. It even has excellent ability to convert 480p content of your set top box and upscaling it on to a 4K display. HD channels of your set top box will look amazing on this. As it's a 120 HZ display everything looks super smooth. 1080p60 videos looks super crisp, it feels they are performing just in front of us. This is one of the smartest remotes a TV can get. Kudos to LG for great creativity. It works just like a Charm. It has some great over 800 offline commands that you can do and this magic remote will do it for you. I would say it will be average to best. If you have a small room, just like mine, you will be pretty much satisfied with its performance. It says it has Dolby ATMOS built in, which if you are playing supporting content can allow you to experience it, but don't expect some great results. It has 40 watts speakers which includes woofer and they do a decent job. 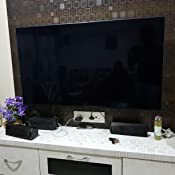 As I said, to experience it's breathtaking picture quality, you should definitely look for a great sound bar or 5.1 or Dolby atmos enabled home theater. Worth Mentioning that it's a Netflix Recommended TV, as you will be getting great movie watching experience on this TV, many Netflix shows and movies now a days are in Dolby Vision + Atmos formats, and would definitely recommend to try. 1) Excellent RAM Management (Thanks to @lpha 7 intelligent processor), it keeps all the applications open while you are surfing arround different applications. Surf between applications is breeze. 3) Plethora of Picture Options to choose from: Depending on the content, you can enjoy the preset modes while some of them are really beautiful as they are presets by Technicolor. 6) Couldn't talk more about gaming as I haven't experienced it yet but is said to be best panel for enjoying 4K HDR games as it has very minimal input lag. 2) It creates Blooming effect whenever you are hovering the curser on TV, not visible during day time, but will be certainly visible during night time. 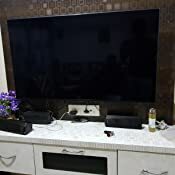 4) This TV can certainly not be recommended to watch in dark night as you will see Grey / black combined display even if Full Array Dimming set to maximum. It's certainly not able to achieve the similar standard as what Sony's model can achieve. The blacks look absolutely stunning during day time. 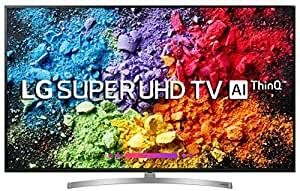 If you are really worried about Clouding, Screen Bleeding then you should definitely upgrade to OLED, but if you are in for IPS display, this is the Best thing Money can buy in TV department. Its just one level below the OLED But certainly not OLED. I got it for 88k and it's 2018 model. The picture quality is best and only an OLED TV looks better than this. But don’t think it is any less than an OLED. 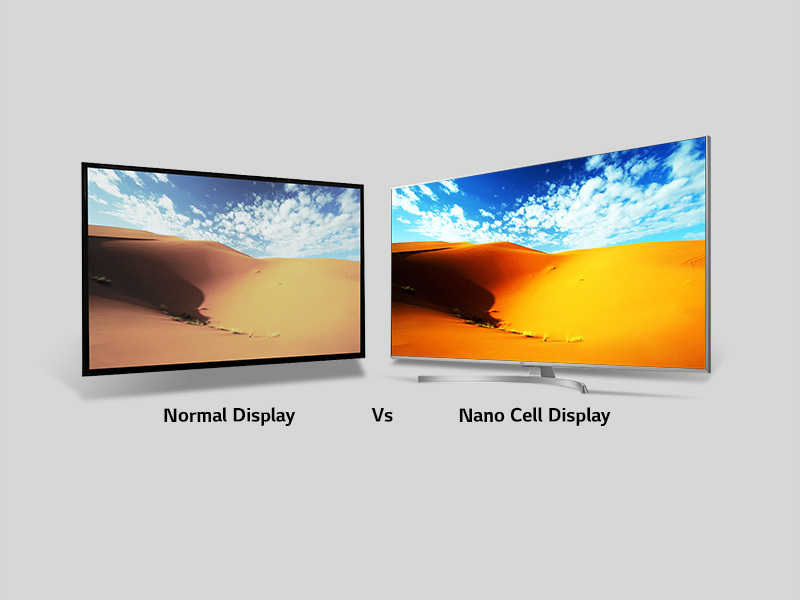 The Nano Cell display is infact possible of showing pitch black and low lit scenes appear really good. And yes, Colors stay consistent from every angle thanks to the IPS display. No other LED TV can do that. You can check the reviewes on YOUTUBE for that. Remote is another best thing with LG smart TV’s. The mouse like pointer makes it a breeze to navigate menues and make selections. Combined with Dolby Vision, Dolby Sound and HDR, this Smart TV is something you cant go wrong with. It costs much more than the normal LED 4K TV’s but nothing comes close to it. Trust me I checked all the major brands and researched a lot before I bought this. The next best thing to an OLED panel. It costs half the price of OLED TV but gives around 75% black lavel, contrast and colours. If you can affoard a 55" OLED TV then you should definately go for it. However, if you don't have that much budget or want something smaller in size then you should go for this. 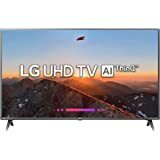 This is LG's 2018 model with full array backlit dimming available in 49" screen size. 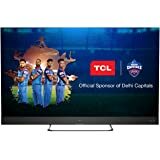 In their 2019 model, they are giving Full array backlit dimming only on their 55" Nano Cell TV. 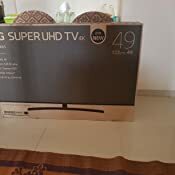 I bought the 55 inches TV from LG showroom during Diwali time. It had been a great deal. I got a sound bar and woofer along with the TV in an attractive price. 1. Sound - The TV sound is fine. You won't get a bass effect though. But along with sound bar, you will get awesome experience. c. True motion feature is not good as it creates an animated affect for every content being played. This gives a bad impression. So, I always keep it off. All above experience may be due to the content quality also. As I generally play HD content (though TV is 4K). The same thing while viewing 4K content on Youtube gives a nice experience. Don't go to buy this in case you read features like HDR, Full array dimming as they won't give you good experience while watching movie content. They are best for viewing picture content. It is very nice product.It has nice sound,nice picture quality.Value for money.Best user interface.You can connect your laptop,mobile Hard disc. 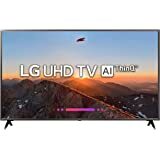 5.0 out of 5 starsLG undeniably offers top shelf products with the LED TVs. LG undeniably offers top shelf products with the LED TVs. The technology is now quite mature and is quite definitely the best for most people. Unfortunately, these prowesses do not reflect the rest of their TV range. While every LG smart TVs come packaged with their excellent WebOS platform, the performance of the displays often leaves a lot to be desired. They do have consistently great viewing angles, but that comes to the cost of having mediocre picture quality in a dark room. Quite the contrast from their LED offerings, some might say.